I love helping my students grow into smart, hard-working, and self-sufficient musicians. Part of this means torturing them with sight-reading exercises every time I see them. Trust me, they love me for it. 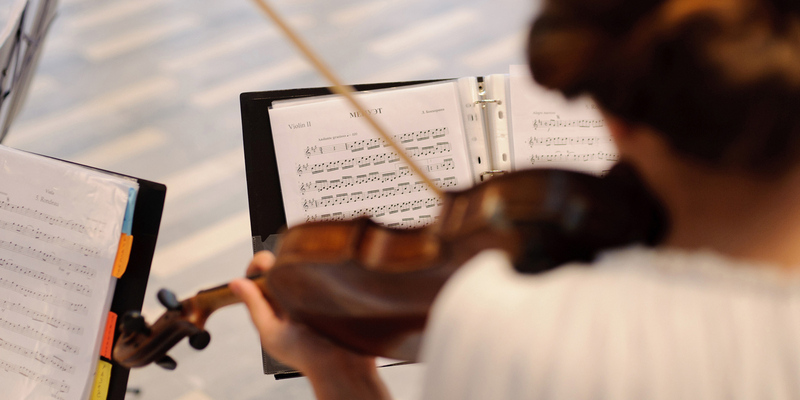 Sarcasm aside, while sight reading may not be our students’ favorite activity, or even our favorite thing to teach, there is no denying the benefits of consistent sight-reading practice. To help students become great sight readers, we need to provide them with opportunities for sight reading and instruction that guides them towards progress. In order to track that progress, students need to know what their specific goals are. Young musicians know they need to reproduce what they are seeing on the page, but it is necessary to break that down further. When students have specific goals, it is easier to see how they progress. A specific goal means we can set up checkpoints between where our students are now and where we want them to be. It is important to know the difference between “almost there” and a total success. What do each of those checkpoints look like? What can we improve to make it to that total success? This is where my good friend the rubric comes in. Rubrics give students the structure to understand what they are trying to achieve. The requirements, or checkpoints, on that rubric are one way to track your students progress. I have three basic rubrics for sight reading: beginner, developing, and advanced. Students who are just beginning to learn how to sight read should keep their focus on the basics. To me, that means setting specific goals in four categories: pulse, relative intonation, rhythmic accuracy, and pitch accuracy. Developing students can expand their goals to include articulation and dynamics. Finally, the advanced students will add goals to master tone quality and musicianship/style while sight reading. Check out my full rubrics. I like to have a rubric in front of my students when they are sight reading. Students can check in with those visible requirements that are appropriate to their level of mastery. This allows them to have a clear goal before they begin and a way to assess themselves after the exercise has been completed. First, I will decide which rubric we are working with. Then we will discuss the goals for that rubric. This allows the student to provide some self-assessment before they even look at the sight-reading exercise. Which of the categories is hardest for them? Which do they feel most comfortable with? What will their main focus be while trying to complete this exercise? It is important to take note of their answers. I keep a folder or a Google doc for each student that includes both my assessment and their own self-assessments. This record allows me to track the technical progress that I see and also the progress in each student’s comfort level with different musical concepts. This sort of record makes it easy to tailor instruction to the needs of each student. Once we have talked through their goals, the student has to do the darn thing! Students are given a study period with each exercise before they sight read. In recent years I have been using SmartMusic when working on sight reading. SmartMusic brings a number of tools together in one place that help me track my students’ progress. These tools also help them understand that progress. First, there is the recording. I used to record my students on my phone or another recording device, so they could hear how they did. It is really important to go back and listen. When I was a beginning student and nervous about sight reading, I wouldn’t be able to remember anything that I did after the fact. So, providing that opportunity to listen to what a student did allows them to learn from their mistakes, as well as celebrate their successes. Once they have submitted that recording I have that a record of their progress in SmartMusic that I can go back and listen to. I can compare recordings over the months and years to see the progress that they have made. I also appreciate that when I use SmartMusic for sight reading I can create custom rubrics and enter in all the details shown above. This means that my student and I can talk through the rubric after completing the exercise. We discuss how they would grade themselves and what grade I think they have earned based on the performance and recording. Then we can submit that grade in SmartMusic. There we can both look back and see their progress over time. As students progress they need more and more fresh exercises at just the right difficulty level. Finding or writing new exercises can end up feeling like an exhausting task. SmartMusic’s new Sight Reading Builder offers educators the ability to generate and customize an infinite number of exercises. Check out the demo for the Sight Reading Builder here. SmartMusic can create an infinite supply of sight-reading exercises. Try it for free! Assessing a student’s sight reading progress is really about helping each student learn what success is, and achieving success. The assessment should allow them to actively understand how they can achieve success. It should never be about putting down a hard line and saying that they didn’t do well enough. To see true progress through assessment, students need to take an active part in the process. A deeper understanding comes through this type of collaborative assessment. With understanding comes progress, success, and the emergence of those smart, hard-working, and self-sufficient musicians I know each of my students can become! As MakeMusic’s social media manager, Suzanne Whitney is committed to sharing actionable information to music educators, composers, and musicians of all sorts. She has been teaching voice and choir privately for the past eight years. Her students range from kindermusik students all the way to adult community members. 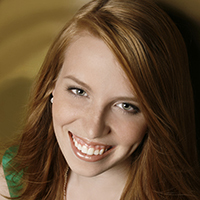 Suzanne earned a Bachelor of Music degree from Illinois Wesleyan University and a Master of Music degree in vocal performance and pedagogy from the University of Colorado at Boulder.